KARE works with 300 Tulare County Fourth Graders at 2017 AgVentures Day! KARE outreach and education leader, Laura Van Der Staay, along with UCD Cooperative Extension Cropping Systems Specialist, Jeff Mitchell, had their hands full with over 300 enthusiastic Tulare County 4th graders as part of the 2017 half-day AgVentures extravaganza that was held at the International Ag Center on May 12. This is the third time the two of them have taken part in this activity that is always a big hit with the kids, teachers and parents. Students learned about soil science and research that is underway at the KARE Center related to soil function and management and also had a chance to see up close and personal how soils can change if they are managed using conservation agriculture practices. While the day is always grueling, both Van Der Staay and Mitchell departed after a hearty hamburger lunch that was provided by the event organizers with the satisfaction of having hopefully expanded horizons and inspired a new generation of science-loving students. 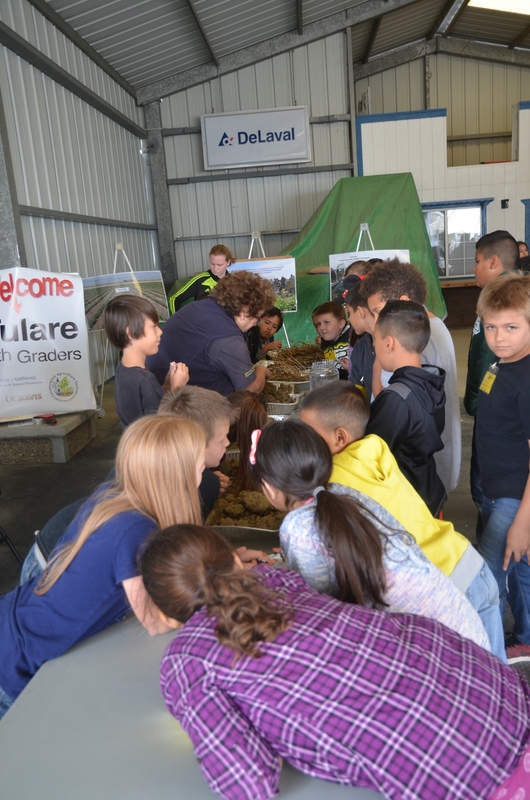 KARE’s Laura Van Der Staay working with Tulare County fourth graders who were part of the 2017 AgVentures Day at the International Ag Center in Tulare, CA, May 12, 2017. UC ANR will participate in the 2017 World Ag Expo in Tulare, CA. UC ANR is participating in the World Ag Expo, held February 14, 15, and 16, 2017. Statewide programs, UC Cooperative Extension, and the Research and Extension Center System will have booths and personnel available for the entire show. We have booths 1411, 1412, 1512 and 1513. Wilcox Agri Products donated some space for an UC ANR conservation tillage tent in the M48-53 area. UC ANR will also have people participating in the newsmakers conference as well as providing seminars. File photo of the World Ag Expo. 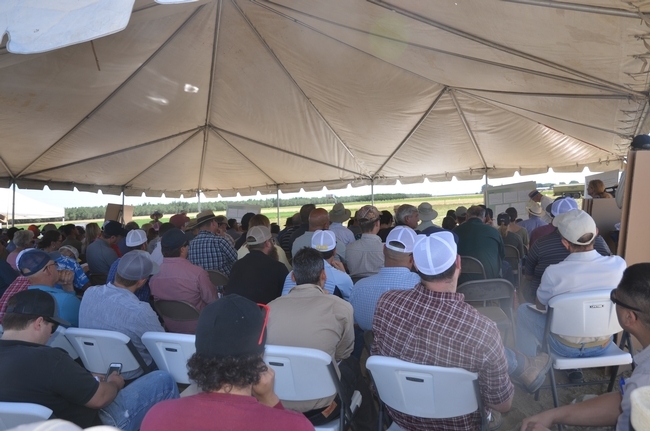 Sano Farms will host a California farm demonstration network visit on June 24, 2016. 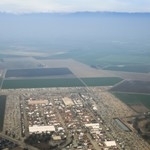 Take Hwy 180 west out of Fresno through Kerman, CA and to Mendota. In Mendota, take Belmont Avenue west out of town. At Fairfax Avenue, go north (right) about a mile. Turn left (west) onto Shields Avenue and continue about two miles to the farm on the left side of the road. Take Shields Avenue exit. Go east on Shields. Continue about 5 miles to Sano Farms on right side of road. Follow signs to meeting place. 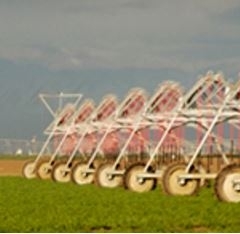 Watering system often used with conservation agriculture systems. Jesse Sanchez, the farm manager at Sano Farms out west of the small town of Firebaugh, was honored as a White House Champion of Change. 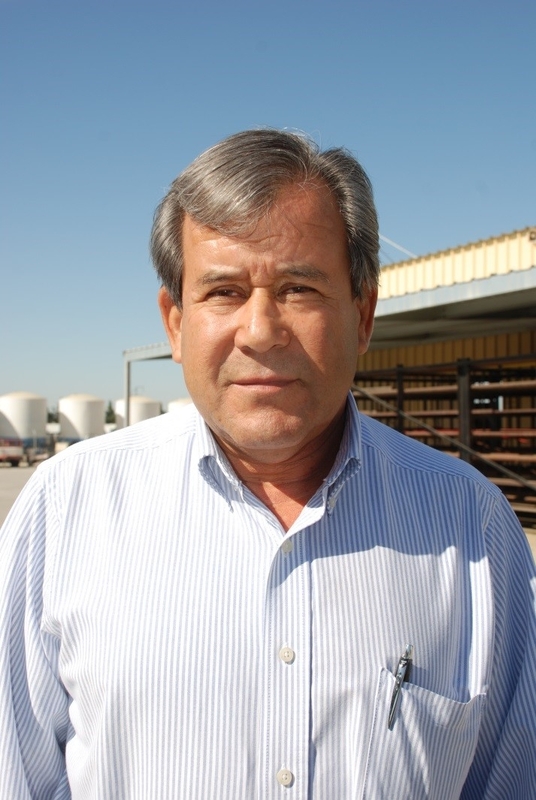 This past Monday, October 26th, Jesse Sanchez, the farm manager at Sano Farms out west of the small town of Firebaugh, was honored in Washington, D.C. as a White House Champion of Change. Working closely with Alan Sano, the farm's owner, over the past ten years, Jesse has developed highly efficient production practices for the roughly 1500 acres of processing and fresh market tomatoes that employ the use of off-season cover crops to add carbon to the soil to improve tilth as well as water storage and movement in the soil, and also, the use of a form of reduced tillage that is called strip-tillage. Read more on the Conservation Agriculture Systems Innovation (CASI) website.